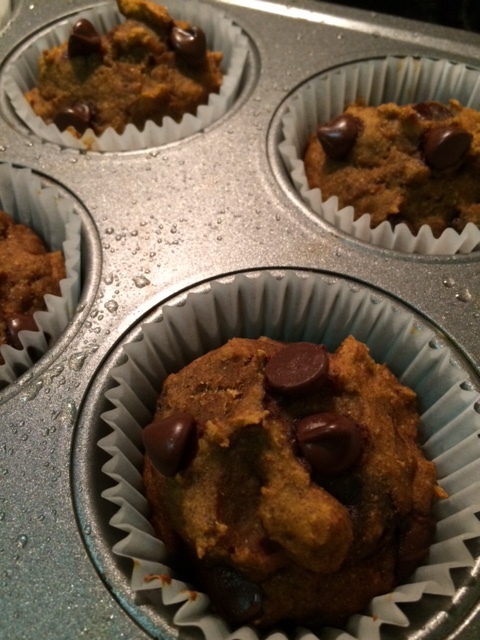 If you’re a fan of chocolate and pumpkin these muffins are extremely satisfying. And only 110 calories a piece! 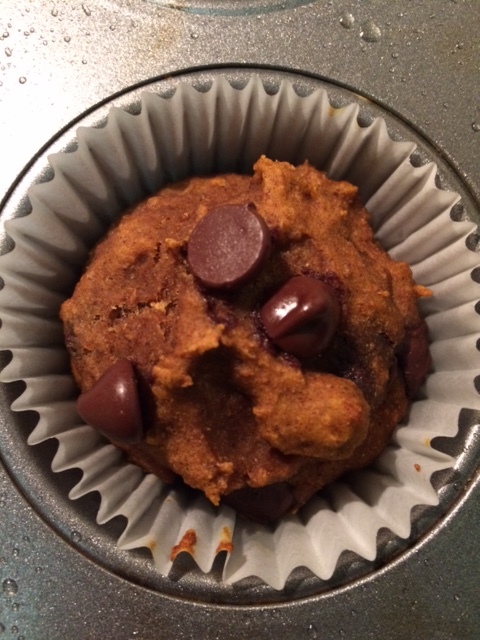 If you remove the chocolate chips and decide to do a plain pumpkin muffin, it’s only 65 calories per muffin. 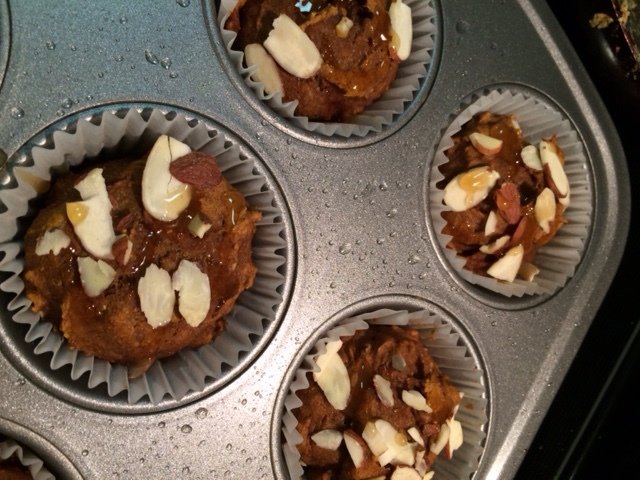 In one bowl, combine the pumpkin, sugar, egg, vanilla extract and apple sauce. blend together. In a separate bowl add the salt, nutmeg, cinnamon, baking soda, baking powder and whole wheat flour. Add the wet and dry ingredients together. DO NOT OVER MIX. Over mixing will make these too dense. Fold in the chocolate chips. 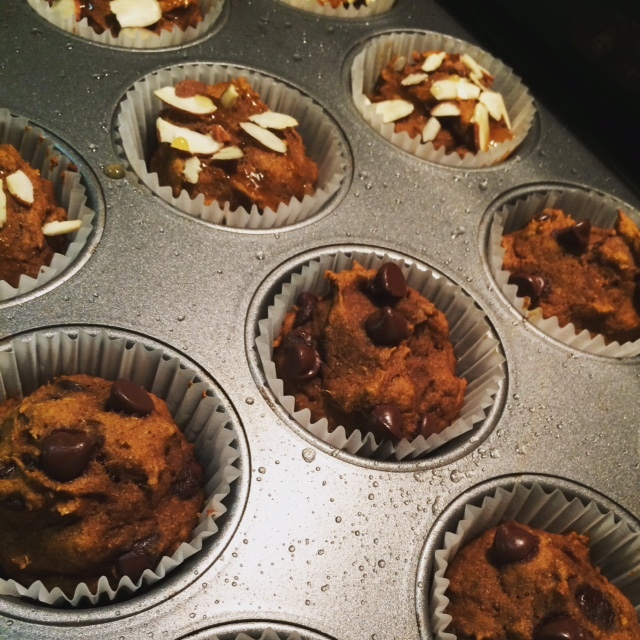 Evenly distribute the batter in the muffin tray. (you don’t have to, but I used cupcake wrappers. If you don’t, just make sure you grease the pan.) 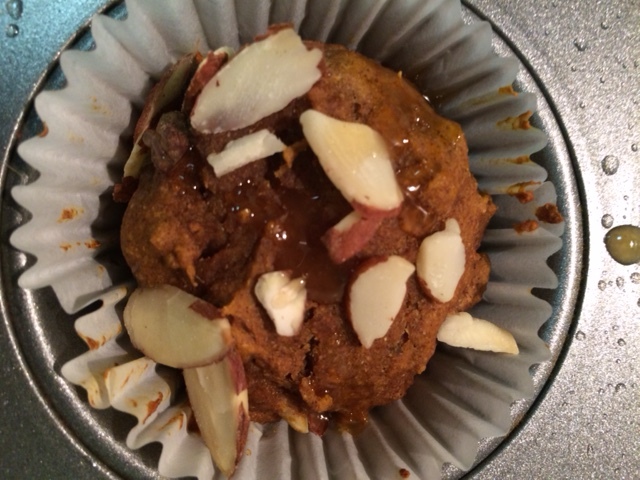 Bake for about 18-20 minutes, or until you can poke a toothpick into the muffin, and have it come out clean.